Da Capo Press, 9780306818790, 520pp. Based on all-new interviews and including 72 rare photos, Trouble Boys: The True Story of the Replacements is the definitive boigraphy of one of the last great rock 'n' roll bands of the twentieth century. 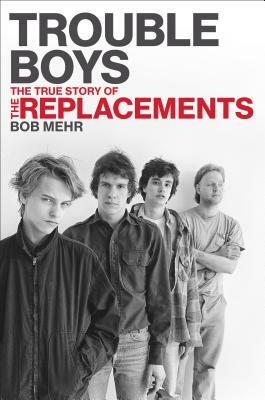 Written with the participation of the group's key members, including reclusive singer-songwriter Paul Westerberg, bassist Tommy Stinson, and the family of late guitarist Bob Stinson, Trouble Boys is a deeply intimate and nuanced portrait, exposing the primal factors and forces--addiction, abuse, fear--that would shape one of the most brilliant and notoriously self-destructive bands of all time. Bob Mehr is an award-winning music critic for the Gannett-owned newspaper The Commercial Appeal and a longtime contributor to MOJO magazine. He's also served as an editor, writer, and columnist for Village Voice Media, New Times Inc., and Chicago Reader. He contributed liner notes to the Grammy-winning Big Star box set Keep an Eye on the Sky and has written essays for reissues by the Replacements, Kinks, Warren Zevon, Dixie Chicks, Al Green, and many others. A native of Los Angeles, he lives in Memphis, Tennessee.